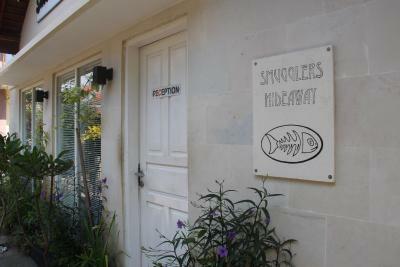 Lock in a great price for Scallywags Smugglers – rated 8.8 by recent guests! Really friendly & awesome staff (cheers Egy! ), who made our stay a great experience. 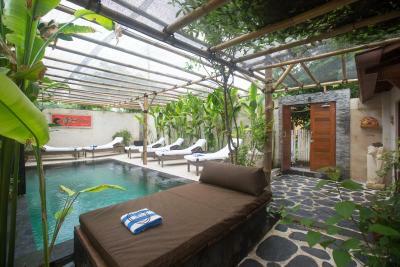 Hotel was a little way (easy 5min walk) from the beach but more than made up for this with a cool boutique vibe and nicely placed pool. Complimentary breakfast & reclining sun lounges by the ocean w/umbrella sealed the deal. We extended for 3 more nights! Great staff, friendly, helpful & professional. Very clean & good cable TV service. Free tea, coffee, water. Wonderful buffet breakfast & lovely swimming pool. The staff is so accommodating and humble. They want to help you. I was nervous about taking a boat that would guaranteed leave on time the same day as my flight. When I checked in, the staff member at the reception desk happily took me to a kiosk at the port and brought me to a trusted boat company. It was that extra step that really mattered. And the complimentary breakfast is amazing and vegetarian and vegan friendly. Way nicer than the pictures. Buffet breakfast was solid and beach club was one of the nicest. 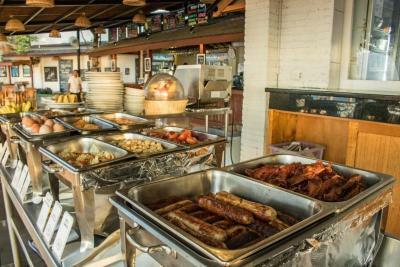 The included breakfast buffet at the Scallywags resort at the beach (only a quick 5-8 minute bike ride away) was excellent with a variety of foods! Shared showers were hot and had good water pressure. Complimentary sunbed loungers at the beach resort also a great perk, and the a/c unit in the room worked well. The staff was amazing, very friendly and helpful. I loved the pool area, small but very nice. 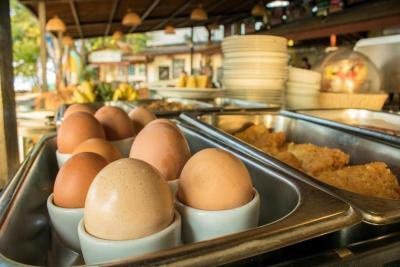 Breakfast was excellent, good quality and a lot of choice. The beach area was also nice to be at, with free sunbeds and snorkeling opportunities. Scallywags Smugglers This rating is a reflection of how the property compares to the industry standard when it comes to price, facilities and services available. It's based on a self-evaluation by the property. Use this rating to help choose your stay! Offering an outdoor swimming pool and smartly designed rooms, Scalawags Smugglers is located just a 2-minute walk from Gili Air Harbor. Free WiFi access is available. 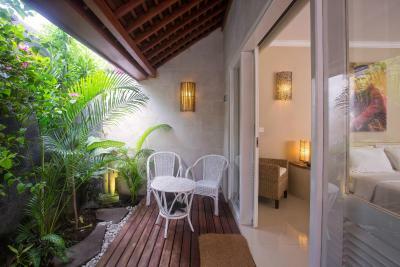 Accommodations options include self-contained villas and a private rooms. 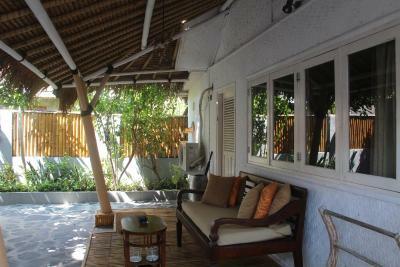 The comfortable air-conditioned rooms feature a seating area, flat-screen satellite TV and CD/DVD player. Complete with a refrigerator, the room is also equipped with an electric kettle and mini-bar. A safety deposit box, wardrobe and desk are provided. 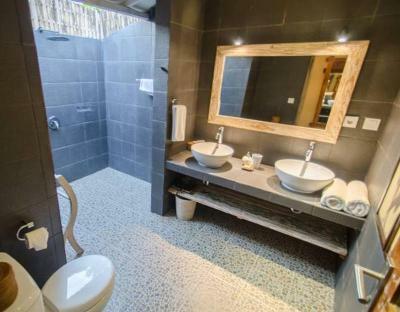 Th private bathroom comes with a shower, hairdryer and free toiletries. At Scalawags Smugglers guests can find a garden, sun terrace and on-site gift shop. 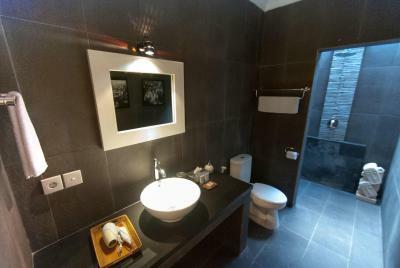 Other facilities offered include luggage storage, laundry and daily housekeeping service. The friendly staff can arrange for bike hire at an additional fee. 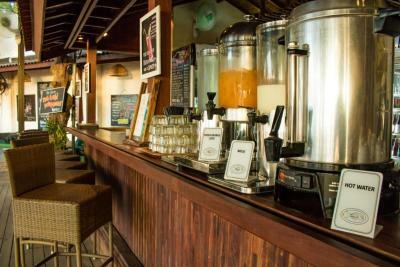 Scalawags Beach Club & Grill is a 10 minutes’ walk away and offers Indonesian, Western and barbecue dishes. 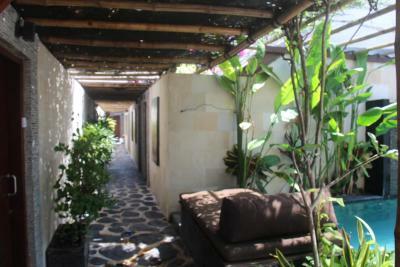 This property is also rated for the best value in Gili Islands! Guests are getting more for their money when compared to other properties in this city. When would you like to stay at Scallywags Smugglers? 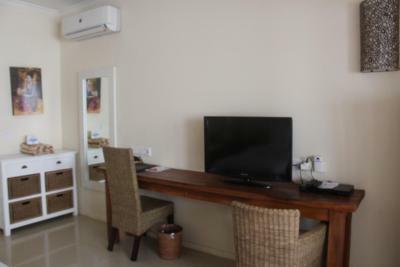 This modern twin/double room features air conditioning, flat-screen satellite TV and private bathroom. 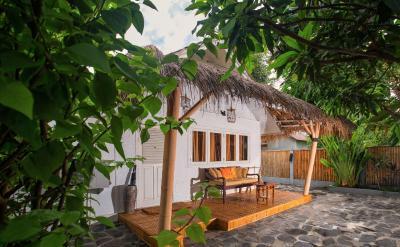 Located a 3-minute walk from Smugglers Hideaway, this air-conditioned, traditional Javanese villas offers teak wood walls and ceilings, a private pool an outdoor BBQ area and sun loungers. The master bedroom opens out to a comfortable lounge area with pool views. The other 2 rear bedrooms open onto the fully equipped kitchen. Two bedrooms offer a queen-size bed, and the third bedroom offers twin beds. 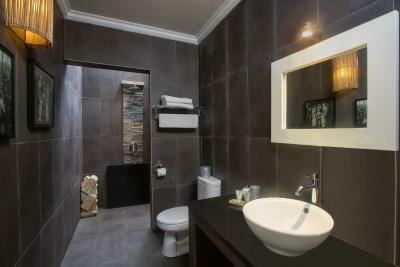 This double room features a CD player, DVD player and private entrance. 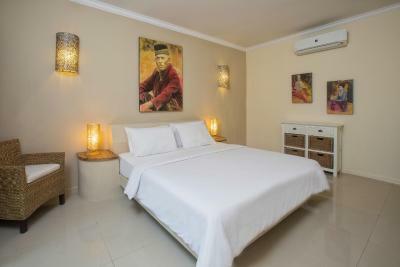 This single room features a satellite TV, seating area and air conditioning. House Rules Scallywags Smugglers takes special requests – add in the next step! Scallywags Smugglers accepts these cards and reserves the right to temporarily hold an amount prior to arrival. The staff were wonderful and the island is beautiful! The diving was spectacular. The villa was an excellent and we felt very relaxed. The mosque was quiet near, so we woke up every morning at 4.30 am because of the islamic call to prayer. Otherwise the location was great! The villa was ingredible! Very cosy and clean and surrounded by a lovely garden. The staff was great too. There are bicycles at the villa and it was fun to drive around the island. 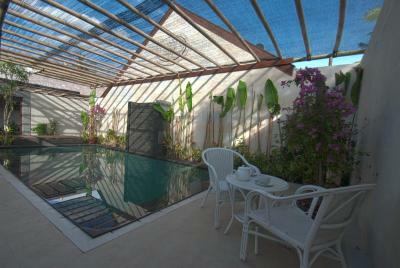 The breakfast can be ordered to the villa and the pool was also very nice. 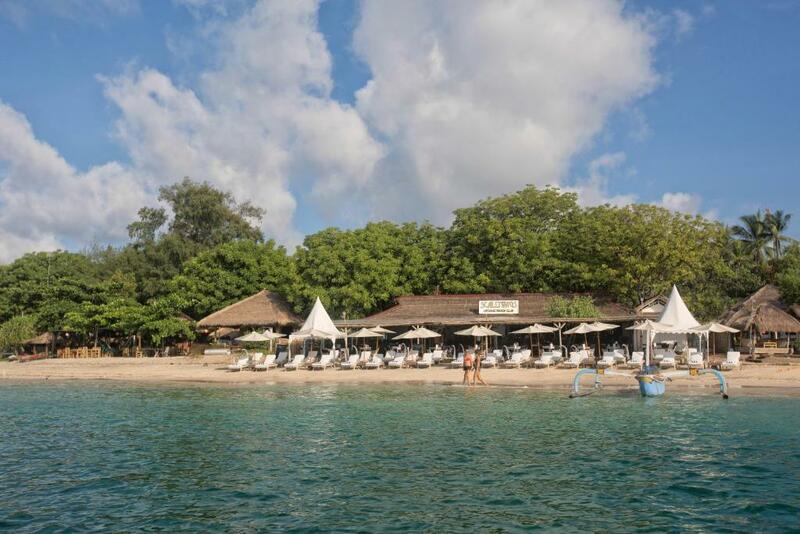 We will definetly go back there the next time we are in Gili Air! For the price, it was absolutely great. I don't have any complaints at all. The Smugglers single rooms are basic but clean and the beds are very comfortable! The staff are absolutely lovely. They really look after their guests. The pool is also super nice! The beach club is lovely, too, and also has a great set of staff there. We are repeat customers of Scallywags! 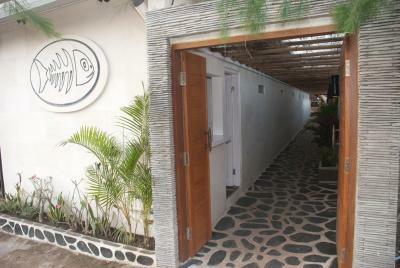 We love the amenities, beautiful pool, eating at the restaurant on the beach, and the staff are always wonderful! Everything its an amazing place. We weren’t aware of a mosque almost right next to the hotel - which was fine, but we were woken up at 4am one morning by the call to prayer! The staff were super friendly and made us feel very welcomed. The Deluxe room was clean, private with its own little terrace, and really well presented. 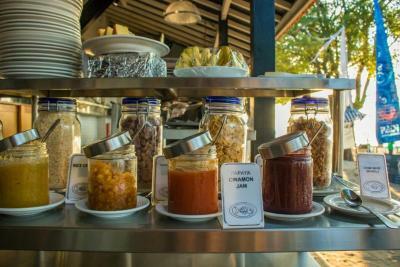 We loved having breakfast down at the beach club in the mornings too, fantastic views! The staff was helpful and nice. To pay in credit card was convenient. They kept my bag when I needed to go out of the island for no charge. The pool was very shady so I didnt end up using it at all. The single room was quite small almost like a dorm room. The location was great, and the staff was very helpful. The fact that we could use the beach chairs at the other Scallywags on the beach was amazing, I spent a few days there in the sun. The beach was wonderful. It was a little piece of paradise. We loved our stay here. Room was very comfortable and clean. Breakfast buffet on the beach was also very good.